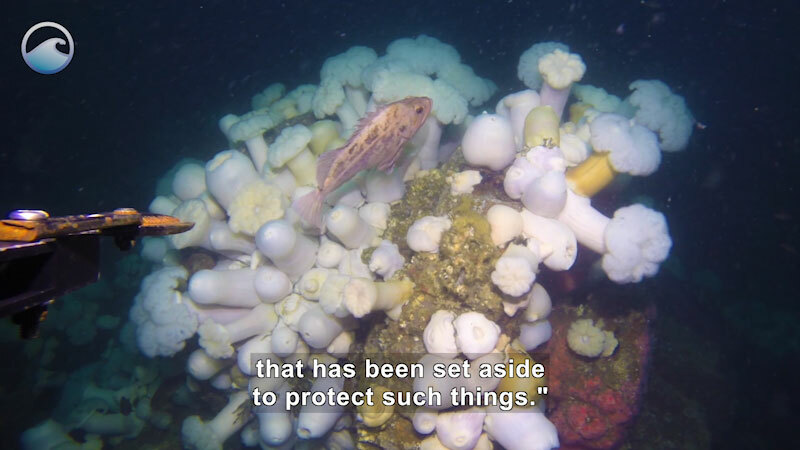 There is good news for people that want to protect the oceans-- that is, marine protected areas, but, in particular, in the United States, it's national marine sanctuaries. Sanctuaries were created especially to preserve, to protect, and to share why they are important with the rest of the country. These areas are all very important because, inside them, they protect not only coral reefs, and fish populations, or the migration routes of whales or sharks, they also protect thousands of shipwrecks. These wrecks are protected and they sit as exhibits in an undersea museum. At Thunder Bay, hundreds of shipwrecks, almost perfectly preserved by the cold, fresh waters of Lake Huron, are available for divers to explore, while the Maritime Heritage Center back at the headquarters in Alpena, Michigan, gives visitors a chance to see why these ships are important, what they look like, how they sunk, and the people's stories associated with them. On the California coast, we're working to document more of these shipwrecks, and discover wrecks that history books or newspapers say are out there, but we haven't yet put our eyes on. Over the last few years, we've discovered some wrecks. Most recently, we found a wreck that wasn't even supposed to be there. It was a ship that had disappeared almost 100 years ago. It still remained one of the top mysteries of the ocean until, thanks to a survey of Greater Farallones National Marine Sanctuary, we found a shipwreck. As we examined it, it turned out to be this long-missing ship with 56 crew. Not only were we able to solve a mystery, and able to say, "This is an important wreck protected in this sanctuary," but we were able to reach out to the families of those men and say, after 95 years, "We know where your grandfather, your great uncle, your cousins-- "we know where they are. "They're at peace at the bottom of the sea, "in a shipwreck full of marine life. "It is their grave, but also part "of a rich and important marine sanctuary that has been set aside to protect such things." Not only do I think that gave these families closure, an opportunity to say, "At last I know what happened," but also some satisfaction that we're looking out for these guys, as we do so many other things in the marine sanctuary system. Accessibility provided by the U.S. Department of Education. 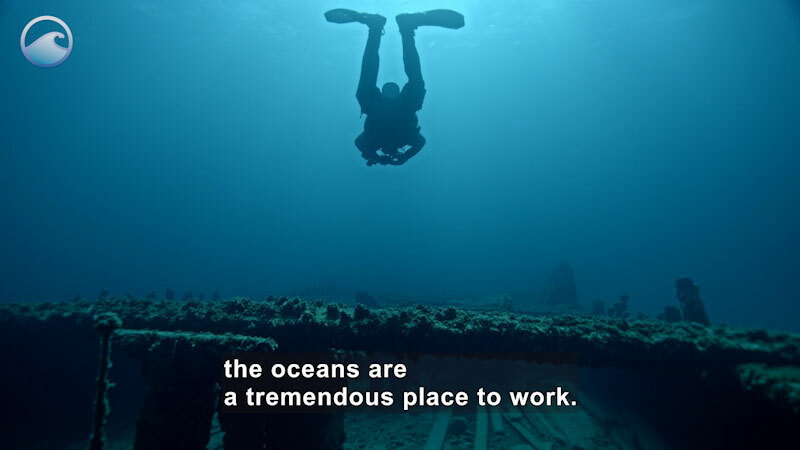 The great power and strength of the ocean has caused damage throughout history. Entire cities have been battered by ocean storms, and thousands of ships have perished at sea while traversing the world. 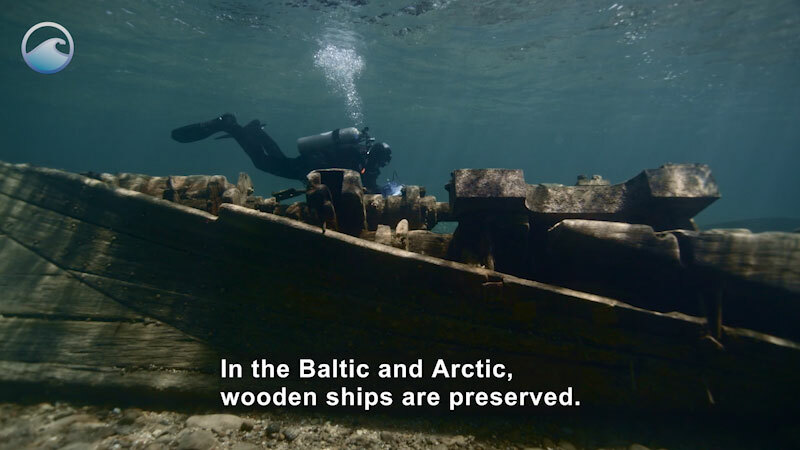 While these ships, structures, and other cultural items are not frequently visible from the water's surface, they have survived at the bottom of lakes, seas, and oceans. Marine archaeologists study these sights to gain insight into past civilizations. Part of the "Adventures of a Maritime Archaeologist" series.